Here is Flowmeter Factory talking about Characteristics of a sulfuric acid electromagnetic flowmeter. If you have any idea about Electrode Flow Meter, welcome to contact us and discuss. 1. Measurements are not affected by changes in fluid density, viscosity, temperature, pressure, and conductivity. 2. There is no obstruction component in the measuring tube, no pressure loss, and the requirements of the straight pipe section are reduced. It has a unique adaptability to slurry measurement. 3. Reasonable use of electrodes and lining materials, that is, good corrosion resistance and wear resistance. 4. Full digital processing, strong anti-interference ability, reliable measurement, high precision, wide flow measurement range. 5. Ultra-low EMI switching power supply, suitable for wide range of power supply voltage and good EMI resistance. 6. Using 16-bit embedded microprocessor, the operation speed is fast, the precision is high, the low-frequency rectangular wave is excited, and the excitation frequency is programmable, which improves the stability of flow measurement and low power consumption. 7. With SMD devices and surface mount (SMT) technology, the circuit reliability is high. 8. There are no moving parts in the pipe, no flow blocking parts, and there is almost no additional pressure loss in the measurement. 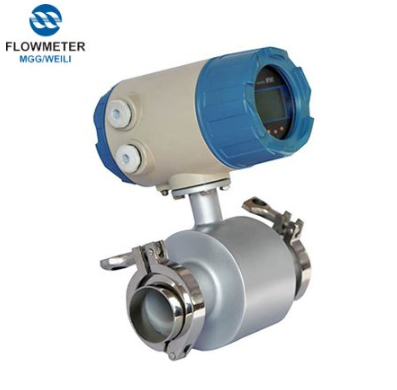 For more information about Accurate Electromagnetic Flow Meter China, please contact kfweili@163.com or call us. Next: How To Choose The Correct Sulphuric Acid Electromagnetic Flowmeter Lining?